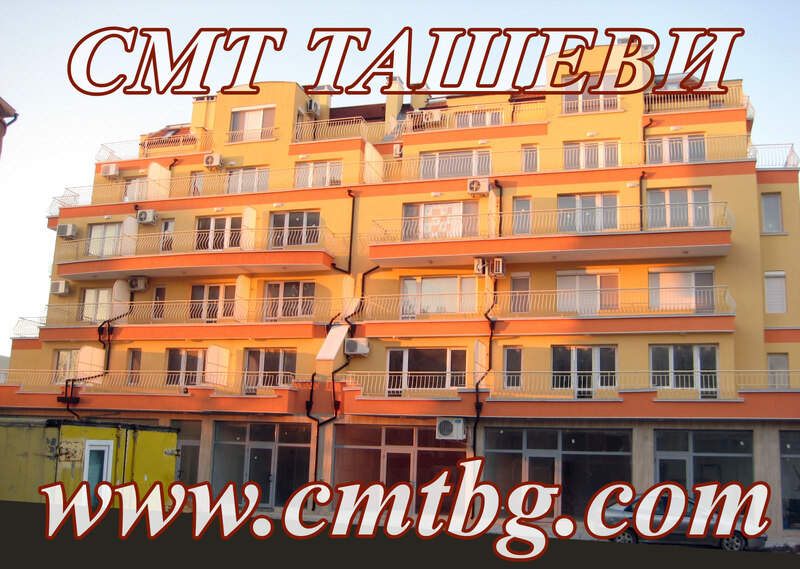 Construction Company "CMT" is selling brand new apartments, stores and garages in an upcoming residential building in Pomorie, Bulgaria. The gorgeous new development is located 100 meters from the beach on the Black Sea coast. It is also in a walking distance from downtown and the world's famous Pomorie SPAs. Most of the apartments provide a very significant view towards the Black Sea. Pomorie is located 20 minutes North of Burgas and 20 minutes South of the world's famous resort Sunny Beach.